I was looking for a yummy addition to our chili the other night and I came across this recipe from Vegetarian Cooking: A Common Sense Guide. I’m not totally sure why this book claims to be the commonsense guide. The recipes are not at all common… It does have good recipes, just not ones we are used to seeing. I also took a few liberties with the recipe, which I will note in my directions. Skill Level: Novice. This is a super easy recipe, with minimal clean-up. Preheat oven to 210º C (415º F/Gas 6 – 7). Grease two six-hole muffin tins. Sift flour and polenta into a large bowl and make a well in the center. In a separate bowl, whisk together the remaining ingredients and season with sea salt and pepper. Pour into the well in the flour mixture and gently fold using a metal spoon [I used a wooden spoon] until just combined. Do not over-mix – the batter should still be very lumpy. 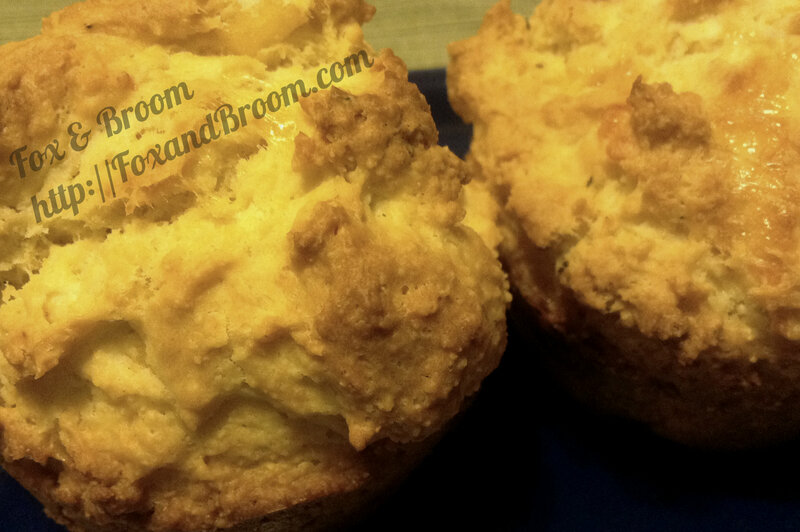 Spoon the batter into the muffin holes and bake for 20 – 25 minutes, or until lightly golden. Remove from the oven and leave in the tins for 5 minutes before turning them out. 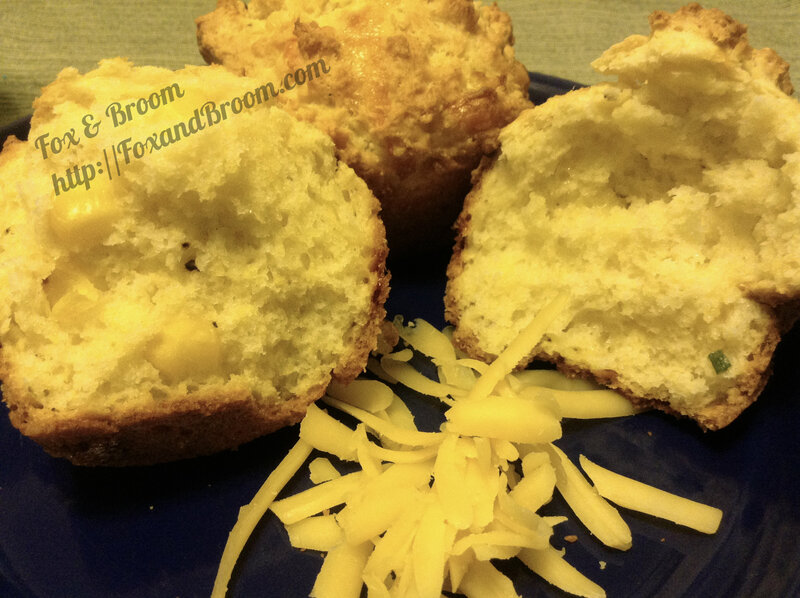 Serve the muffin hot or at room temp, split in half and spread with cream cheese or butter. You could easily add more things to these muffins (chives, dried tomatoes). They are NOT SWEET at all. Notice there is not sugar added. I really really liked them alot. My husband still put honey on them – he likes a little sweet with his chili – and said they were really yummy with the sweet added to them. They also seem to last nicely. They are on day 4 and still quite tasty. They will probably be completely gone by the end of today. I think I might play around with this recipe a bit and see if I can make a vegan version… If I am successful, I will post the recipe.